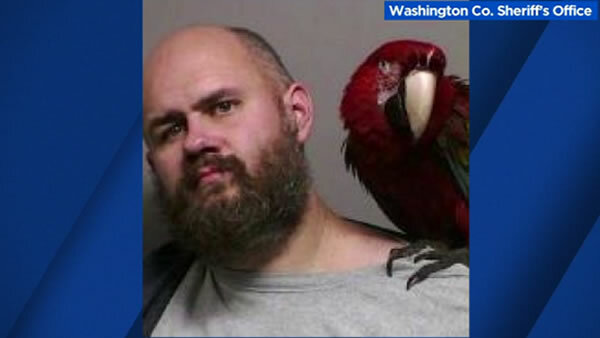 PORTLAND, Oregon (KGO) -- This could be one of the strangest mugshots you'll ever see. Craig Buckner had business to take care of at the Washington County courthouse. He didn't think it would take long, so he brought his pet bird - coincidentally named Bird - with him. 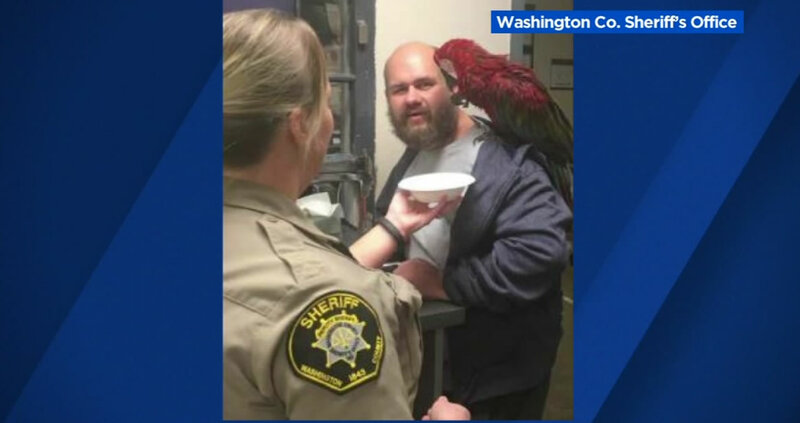 He left the well-trained macaw in a tree outside the courthouse but ended up getting taken into custody, according to officials. Buckner was reportedly worried about Bird, so officers let him get the bird and bring it inside to care for it while he resolved his case.